Getting your car serviced is a great way to ensure you won’t run into any unexpected issues on the road. Your mechanic should change your oil, check your battery, your tyres and spare tyre, wipers, breaks and other fluids. Having a service right before you leave is also great for your fuel economy. If you have children, check that your car seats have been installed properly. As you’re fuelling up also check your tyre pressure. You can find out how much air you need in your tyres by looking in your vehicle owner’s manual. When packing, make sure you don’t overload your car. Each car has a weight limit that includes passengers, as well as what you decide to pack. Check your vehicle owner’s manual for details. 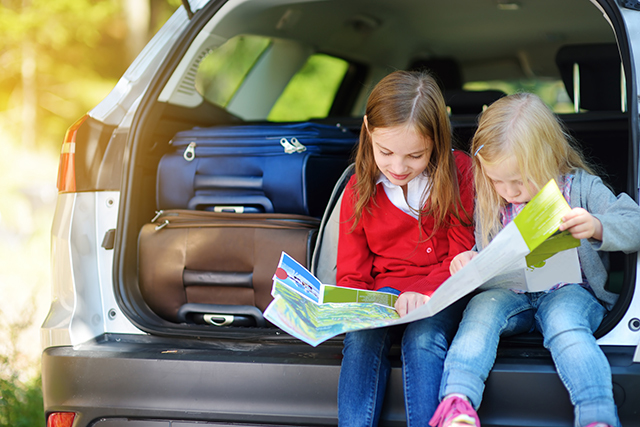 Making sure there is enough food and water for your children is paramount to keeping them happy whilst on a long trip. Another great way to keep them from getting restless is to stop, and play at parks along the way. This may make your trip last a little longer, but it will also help them sleep in the car, or when you get to your destination that night. You can also pack games, music or any of their favourite electronic devices (don’t forget their chargers!). If you’re headed on a long trip, save Cheap AZ Towing’s number in your phone for extra peace of mind. If you need us, we’ll be there. Safe travels!